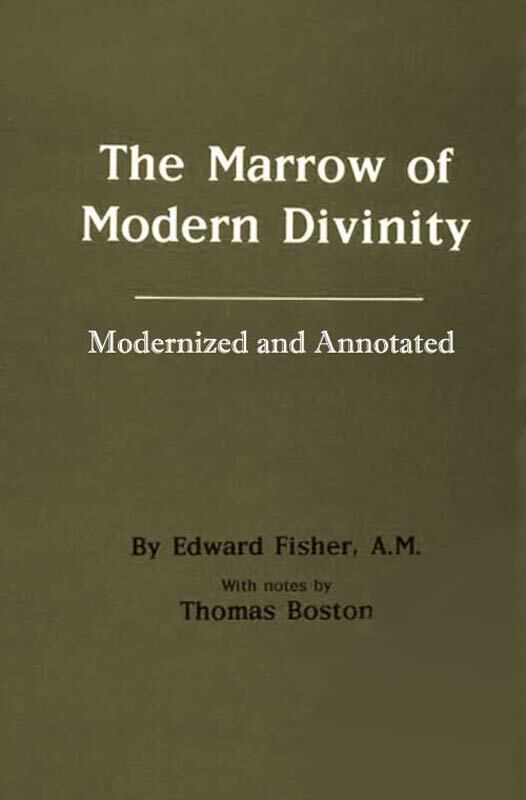 This is lightly modernized and annotated version of Edward Fisher’s The Marrow of Modern Divinity. This is the 1850 edition of the Marrow which includes Part 2, the Interrogatories of the Assembly to the Marrow Men, and Thomas Boston’s notes on the book. There are epub and mobi formats too. This is an extraordinary work, and it continues to be timely. I’ve linked Prof. Herman Hanko’s objections to it, and Jos. Hall’s Mid-America Journal of Theology article on the Marrow Controversy. Sinclair Ferguson’s lecture series on the controversy is there too. The original version with no modernization also available as a free eBook here. The debate in Rom 6.15 has never ended, concerning the relationship of justification by grace alone (monergistic), to sanctification under the Law of Christ (synergistic). I’ve posted a simple graphic that my congregation thought was helpful (The Two Pillars of Salvation). I find that we’re often sloppy with our language. We use “salvation” when we actually mean “justification” – and somehow sanctification gets left out of the discussion, leading to some form of antinomianism. And when we bring sanctification into the discussion, someone yells “legalism!” because they think it’s about justification – they think we’re talking about the means of salvation, and not our response to salvation. Then there’s the challenge of MacArthur’s lordship teaching on evangelism, which caused many to confuse the two pillars, even though John is not at all unclear about it himself. So it’s always good to examine what we teach and preach, to ensure that the Gospel we proclaim is clear, simple, and sound. We want to be sure that what we’re spreading is good seed, and not tares. This book, I think, gives us another opportunity to do that.